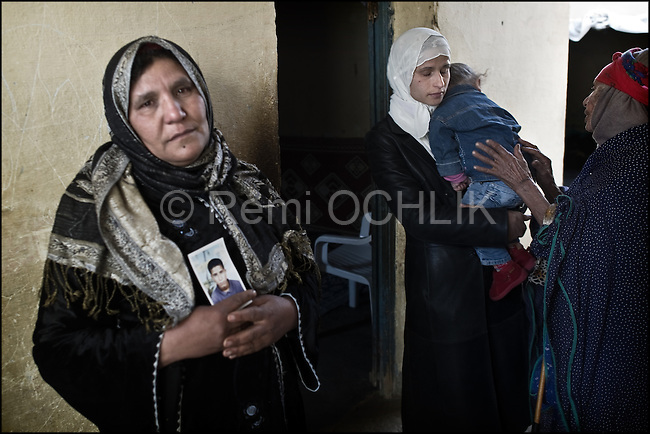 © Remi OCHLIK/IP3 - Kasserine Tunisia - Saturday 24 January - Members of Mohammed Gedraoui familly mourn their chlid, the 23 years old boy had been killed by a snipper january 10, 2011..The 6 january 2011 a desperate young man unemployed from set himself on fier in front of the rail way station of Kasserine. Next days demonstrations and riots took place in the citie. Policemen and police snipers killed 56 protesters.